Have you always dreamed of living in Italy but have work or family obligations that keep you here? 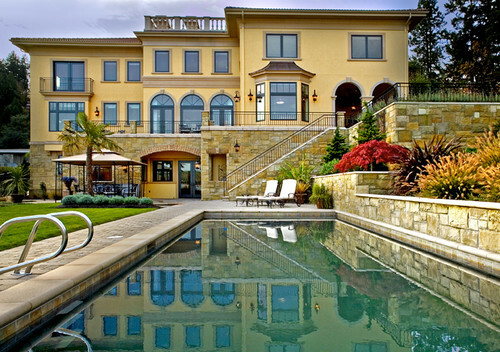 Well the next best thing to living in Italy is living in a beautiful Italian inspired home. This style can be called many things, Mediterranean, Tuscan, Italian or Etruscan. No matter what you call it, everyone can agree that is romantic and elegant. 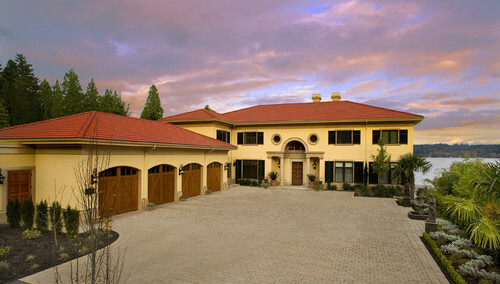 Red tile roofs are typical of Mediterranean design and are durable and have their origin in ancient Rome. Another popular feature is the arch above the doorway and the two circular windows on either side. While the rest of the exterior is rather basic the emphasis is on the entrance and making it look stately yet welcoming. The back of the house is all about enjoyment. A large patio with a stunning view is the perfect spot for cocktail parties. Down below is a pool as well as a section of lawn and a most relaxing lounge area. Inside the Mediterranean design feeling continues. Columns and archways are both romantic and historically accurate. The Romans perfected the arch so it is no wonder they like to use it so much in their architecture. 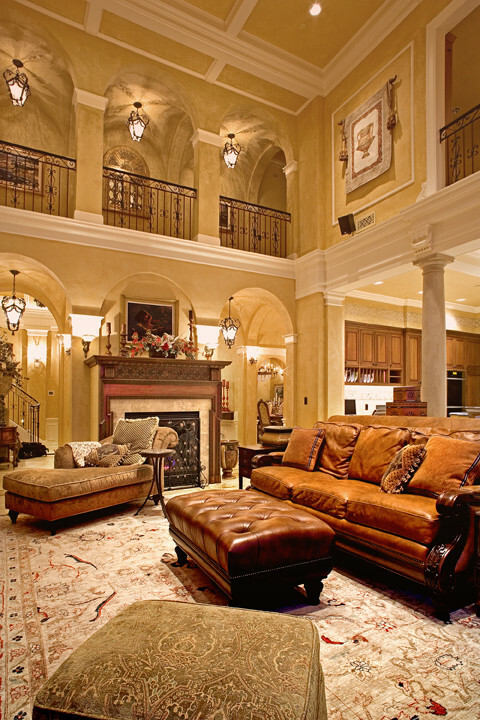 And the two story living room make you feel like you truly are in an opulent Italian villa. Want more inspiration? More photos of this amazing home can be viewed at Gelotte Hommas Architecture as well as Houzz. Once you have an idea what you want then contact Gelotte Hommas to start designing your own slice of Italy.